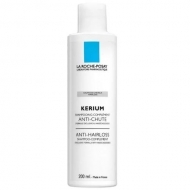 Leaves hair healthy and full of vitality. 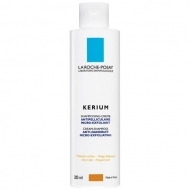 DESCRIPTION: Kerium DS Antipelliculaire Intensif Shampooing from La Roche Posay is a micro-exfoliating treatment shampoo that removes persistent dandruff. 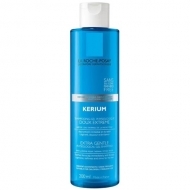 Cleans deep and soothes the scalp. LHA exerts a fine and intense micro-exfoliation to quickly eliminate persistent dandruff. 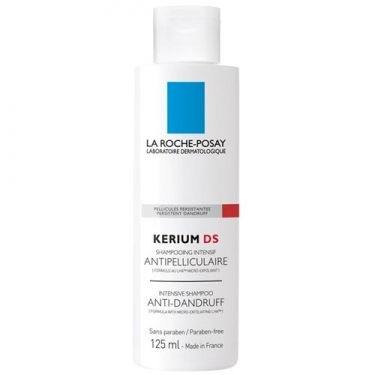 Root Targeting technology deposits a purifying complex on the scalp and pilo-sebaceous follicle to treat dandruff at its source and prevent relapses. Vitamin PP relieves itchiness in depth. Perform treatment twice a week for 3 weeks.